We are a full-service residential renovation company, specializing in the following areas. We value relationships as much as craftsmanship. At Lyle Construction, family comes first, which is why we have been the first choice of homeowners in the Lower Mainland for residential renovations and construction. He and his team were very competent, reliable, professional and easy to work with...We have, and will continue, to confidently recommend Lyle Construction! They were a flexible and easy to work with team of people. The delivered quality was excellent! 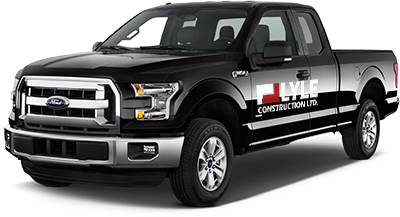 The team at Lyle Construction and their Sub Trades all worked in a high standard of professionalism, quality workmanship. I found they were very knowledgable, pleasant, respectful and friendly. In our estimation, the combination of honesty, integrity, quality, professionalism, and communication that Lyle Construction provides, cannot be beat! I wanted to send this letter personally thanking you and your team for the outstanding job in lifting, renovating, and modernizing our home. We’ll contact you to set up an in-person meeting to discuss your project, then provide a detailed estimate based on our consultation. and other communities in the Lower Mainland.